The page you are seeking is currently undergoing revision and should be replaced shortly. Please excuse the inconvenience. 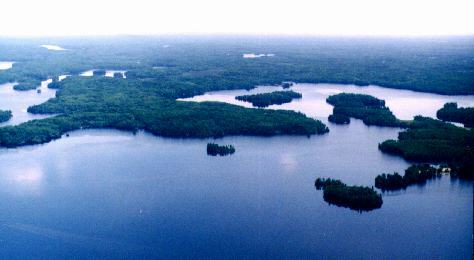 In the meantime, we offer you this areial view into the Boundary Waters Canoe Area Wilderness for your contemplation. This page created and maintained for the MEESC by IRIS Enterprises. Please send any corrections to our Web Team. This page last updated 98-09-24.